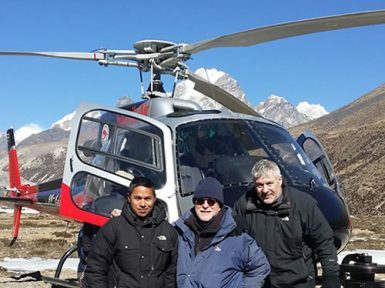 Experience one of the most amazing trips in the world – Helicopter tours in Nepal. The incredible splendor of the Himalayas from a helicopter soaring high above will just bewilder you. The views of stunning landscape will let you forget every other part of your life. 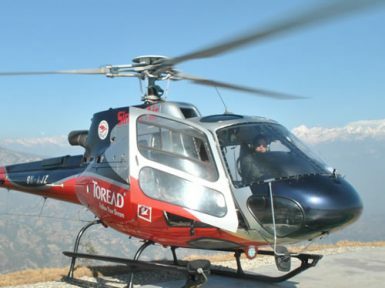 Witnessing the natural splendor of Nepal flying in a helicopter tour would be one of the best vacations of your life. Plus, it’s a better option to get close to the nature rather experiencing long and exhausting walks. At present, helicopter tour is one of the popular luxurious tour options for nature lovers. The tour is most picked by those tourists who do not want to walk exhaustively but want to enjoy every bit of the journey in a relaxing way. 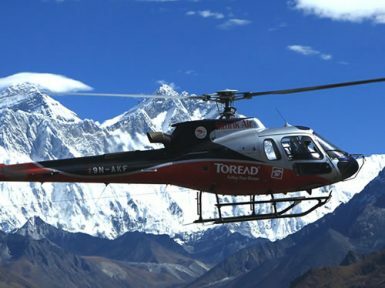 Especially, Everest Helicopter Tours is the easy way to get the closer Mount Everest (8848m)-the highest peak on the earth and view the settings from 16, 000 feet high. Also, you will be rewarded with the breathtaking sights of Gosaithan, Chugimago, Numbur, Karyolung, Dorje Lhakpa, Melungtse, etc which will completely enthrall you. 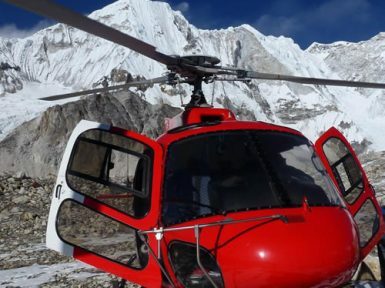 Likewise, Langtang Helicopter tour another popular helicopter tour will reward you with the mighty Himalaya views including Langtang range; astonishing sights of the Kathmandu Valley; and more which will truly captivate you. With the eye-catching sceneries, you will be also greeted by local people particularly Sherpa inhabitants living near Kyanjin Gompa. 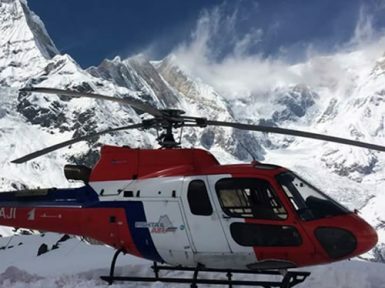 If you are seeking for a luxurious tour to be close to nature and experience the thrill of flying above high Himalaya range, then Helicopter tours will be the idyllic choice. Experience the splendor of the natural majesty of Nepal flying high above. We Nepal Hiking Team will perfectly plan the tour as per your choice and schedule to let you worth the natural serenity of Nepal.